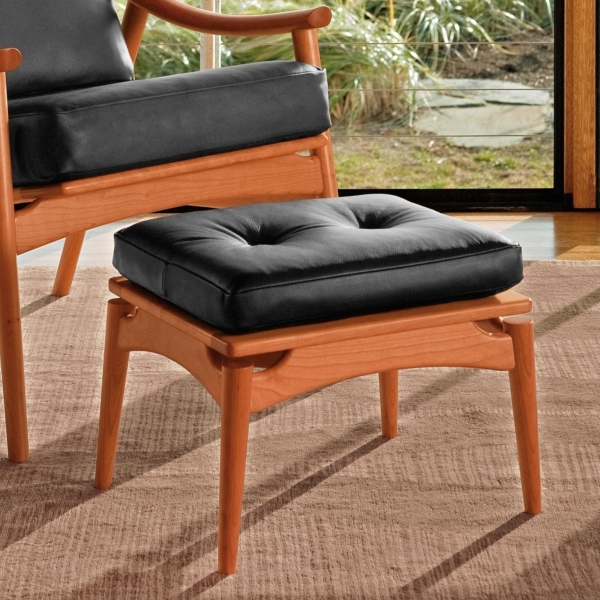 The Ellipse Ottoman makes clear reference to other pieces in the Ellipse Collection. Made to match the Ellipse Lounge Chair, forming a distinctive lounge or living space combination, the ottoman also mimics Ellipse tables and chairs, with turned legs that finish in floating joints at each corner. Topped with an upholstered, tufted cushion, the ottoman provides a welcome resting place for tired feet.